I first became inspired to groom dogs over 15 years ago when my young daughter competed as a junior handler and we traveled the US attending some of the top dog shows. During that time I was exposed to some of the top professional show dog groomers in the country which influence my technique and artistic flair for grooming. When I started Puff n Fluff Pet Spa, I wanted to take what I learned from the dog show ring and bring that perfection and exceptional grooming to all the pets I groom. Grooming is a passion for me, not just a job. It is important for me to know that I am making a difference in the life of every dog that enters my doors.” Candice attended the International Pet Design Academy and apprenticed at VCA Veterinary. She holds a BFA degree in Interior Design. She values continuing education and regularly attends seminars to keep current on latest trends and styles. Ask her about the exciting new styles of Asian Fusion. Candice is a member of National Dog Groomers Association, Creative Groomers Association, and certified in Pet CPR and First Aid. “Let’s be real, I am not the dog groomer of the family; that would be my wonderful wife, Candice. We are animal lovers and have had dogs and other pets as part of the family ever since the day we were married over 25 years ago. My story is that after 20+ years in the high-tech industry, I decided to leave that dog-eat-dog world of corporate America and enter the dog-loving world of the pet business. I joined Puff n Fluff to help with the needs of a growing business. And although you won’t find me behind the grooming table you’ll most likely see my smiling face at the front desk, handling the phones, and in every other place in the business.” Kirk retired in 2011 from a long and successful career at Microsoft and holds both BSEE and MBA degrees. Kirk and his wife Candice live in Alpharetta with their daughter’s 2 Papillons and their son’s Golden Retriever. We love to say that our Puff n Fluff team is fantastic! We have some of the most talented and experienced groomers in the area. We follow the guidelines and best practices as put forth by the International Professional Groomers group and adhere to the safety standards of the Professional Pet Groomers and Stylists Alliance (PPGSA). Continuing education is a big part of our culture and each staff member is required to become certified by one of the recognized certification groups (IPG, NDGAA, or ISCC). Our stylists are knowledgeable in the various breed trims as well as Asian Fusion styles and of course the popular and cute teddy bear look. We are passionate about giving each pet and their human family a wonderful experience and making sure that we give each pup that perfect style. Puff n Fluff Pet Spa is a family-owned business in the Alpharetta /Johns Creek area that we started in our home back in 2006. We named the business Puff n Fluff as a play on our last name, Puffenberger. Since then, we have dedicated our services to the personalized needs of our clients. Our customers know that it’s not just about making our four-legged friends look good, but more importantly, making sure they are cared for in a safe and loving way. We work closely with each pet’s parents and recommend the best products and services that will promote healthy skin and coat. Once they leave Puff n Fluff Pet Spa with their gorgeous coat and makeover style, it will leave their friends asking “Where did you get them groomed”? It’s about artistry combined with technical know-how. We want your pet to look its best; and while our stylists are trained on the various traditional breed cuts, we are happy to adapt our styles to fit the pet’s life style and achieve that special look parents want. 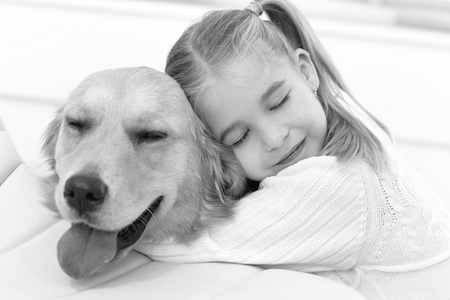 One of our main attentions is in connecting with our clients’ pets in a personal, loving way. Our staff is trained not only on procedure and technique, but also on understanding animal behavior and mastering dog handling and control. We know what it takes to create a fun and stress-free experience for their day at the spa. Safety is very important to us and key members of our staff are trained and certified in pet CPR and First Aid. We make sure our facilities are clean and that all pets are constantly supervised during their stay. Our culture promotes a supportive team environment along with a pride of workmanship. We want to create a family; a place where everyone loves coming to work. We are constantly learning from each other and we support continuing education activities to improve and perfect our skills and techniques. Referrals are the greatest compliment we can receive. We are very proud that they have become the primary way we’ve grown and continue to grow our business. Our clients are very important to us and we strive to make sure you love what we do for you and your pet. What’s next for Puff n Fluff Pet Spa? Coming soon are some very exciting new services that include things like obedience training along with nutritional and health products. We also have some surprises in store that we will be announcing along the way.